Great food knows no barriers and can remedy what gets lost in translation. 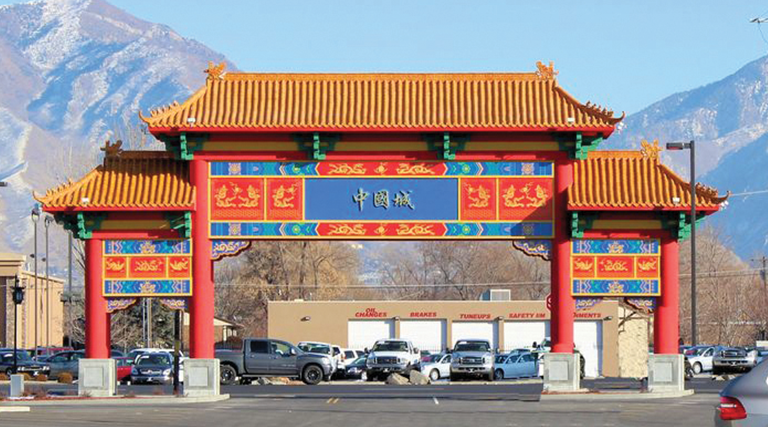 Have you noticed the majestic, red Chinese-style archway, or paifang, as you drive along State Street in South Salt Lake? Patterned after a palace gateway in Beijing, with a pair of beautiful lions at the entrance, the welcoming message etched upon this archway is one of inclusion. It invites passage to a plaza of Asian eateries and shops, including the largest Asian-influenced supermarket in Salt Lake Valley, stocked with more than 200 fresh fruits and vegetables, pallets of fragrant rice options, live seafood, meats and thousands of frozen, packaged and bottled specialty foods. The brainchild of Andrew So, along with his parents, Yue So and Wai Chan, now semi-retired, the Sos opened the Chinatown Supermarket in 2014 after moving to Utah and noticing a lack of an Asian center in which to share homeland traditions. Originally from Hong Kong, before coming to Utah, the Sos lived in New York City, where Andrew earned an economics degree from New York University. Andrew and his wife, Katrina, are not only the current owners, they each play an integral role with day-to-day business operations. Andrew says the Chinatown Supermarket’s customers appreciate the store’s variety of high-quality fresh produce and meats. Grocery items are sourced internationally as well as within the United States, including several items with USDA Organic certifications. For instance, highly prized Kobe beef is sourced from a cattle ranch in California and priced below local competitors. Whether you cook from scratch or pick up ready-made dishes to take home, this market offers about every grocery item any cook needs (and at competitive prices) from bulk spices, baked goods and deli items to an extensive selection of fresh vegetables, exotic fruits, meats, seafood (including blue crab), tofu, kimchi, sauces, rice paper, ramen noodles and dried seaweeds. You’ll also find a large selection of Asian beverages and drinks. 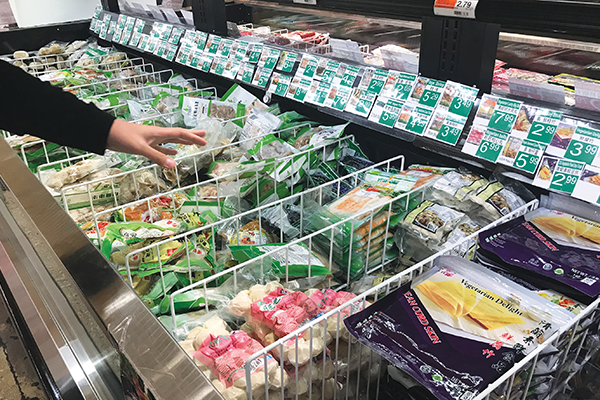 Much more than a grocery store, the Chinatown Supermarket anchors what Andrew calls the “plaza” of eight (soon to be 10) surrounding restaurant, tea house, bakery and karaoke venues. Each restaurant offers its unique cultural spin and backstory while providing several dining options, from Sozo’s Taiwanese grilled satay skewers to China Town Eatery’s Cantonese steamed dumplings or dim sum, One More Noodle House’s Sichuan-style handmade pan-fried noodles, and fresh, beautifully baked mochi bread still warm from the oven served at Utah’s first Korean bakery, the Moon Bakery. 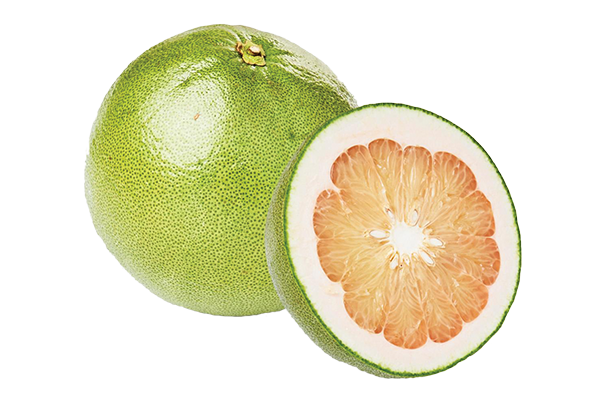 An Asian fresh fruit, Pomelo is plentiful this time of year. This large yellow citrus resembles a grapefruit but is much less sour and acidic. Its sweet and tender insides are delightful and pleasant to taste and make a refreshing juice when freshly squeezed. 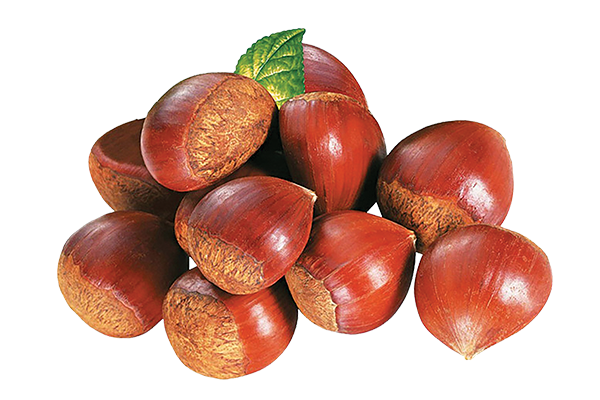 A universally beloved nut meat, chestnuts can be purchased whole in the shell and wrapped in the produce refrigerated section. One can also find shelled and roasted chestnuts. Both are USDA Organically certified and competitively priced. 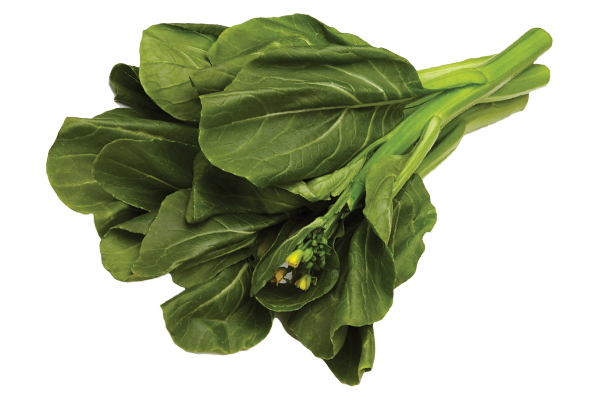 Yu choy sum Asian Greens $1.79 lb. Along with fresh greens such as baby bok choy and napa cabbage, Andrew said Yu Choy Sum is one of their most popular Asian vegetables. With long, tender, leafy stocks and a mild flavor, these can be pan-fried or placed in soups, and provide a quick and easy way to pack in more healthy, delicious veggies. King oyster mushrooms $1.99 lb. 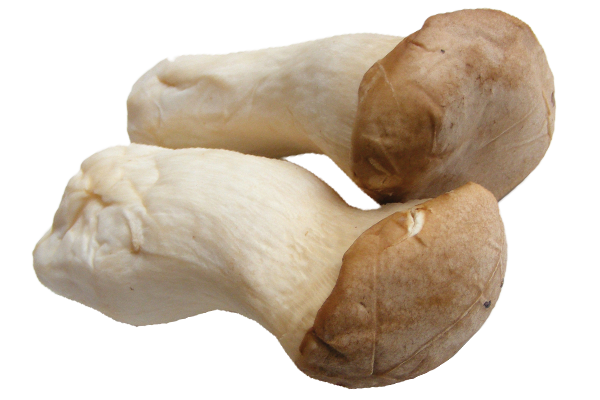 Impressive in size, as the name suggests, the King Oyster mushroom is popular in Asian cooking and adds a savory, umami “meaty” flavor when prepared in a sizzling wok. It can be added to make a flavorful broth, or browned with pan-fried noodles. An ancient Asian fermentation technique metaphorizes raw garlic cloves. As the color deepens to black, it brings out a natural sweetness while the texture becomes softer and jelly-like. 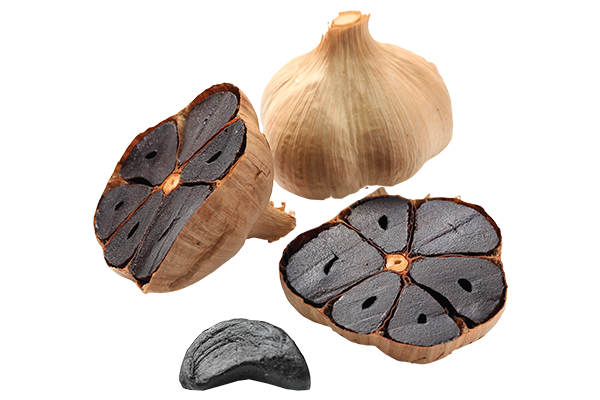 It possesses twice the antioxidant properties of garlic in its raw form. Frozen whole durian fruit $8.99 lb. 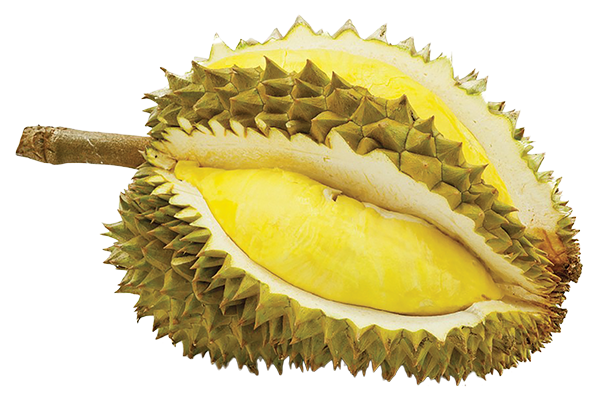 If the durian fell on you, this large, spiky tropical fruit could injure you! Luckily, at Chinatown Supermarket, it’s found in the freezer case and sold by the pound. The fruit’s inner pulp is white and creamy, and it features a very distinctive (some say disgusting) smell. Many appreciate its custard-like consistency and complex, sweet flavor. The fruit is also considered an aphrodisiac. The supermarket sells both the Jumbo Mornthong variety cultivated in Thailand as well as the Richin Musang King durian from Malaysia—more expensive but thought to have a superior taste. Throughout the tour, Andrew pointed out durian in its other forms, from frozen pulp to freeze-dried and its use as an ingredient in other novel foods such as mochi ice cream, candies, cookies, and even coffee. Perhaps it will be the next featured exotic latte at Starbucks? The Chinatown Supermarket supplies a vast assortment of produce, soup ingredients and high-quality frozen, imitation and vegan “meat” and “seafood” items. Without question, the store provides the largest frozen selection in the area. I left the Chinatown Supermarket carrying an armful of freshly baked Chinese cakes and Pomelo fruit, swigging down an incredibly creamy, iced brown-sugar Boba tea. 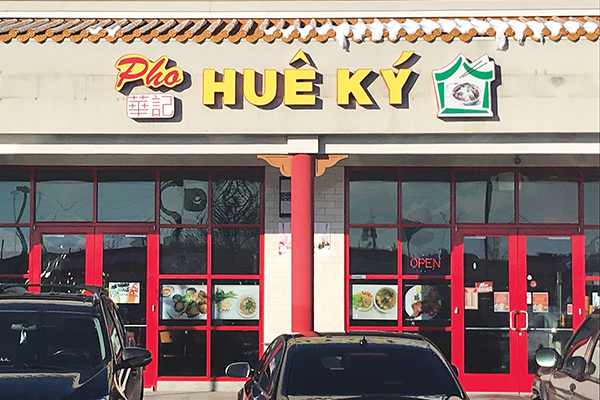 I found myself back at the market the very next day with my daughter, this time landing in front of a steaming hot bowl at Pho Huê Ký. After finishing, the host’s young daughter, 3-year-old Lena, delivered our check to the table with great courtesy. After another quick run through the Chinatown Supermarket, bustling with many holiday customers shopping below hanging Chinese red lanterns, I stopped again at Tea’s Memory, because of a strong craving for another brown-sugar iced Boba. Truly, it’s like a visit to another land that will leave a smile on your face and your arms full of groceries you’ll be excited to sample.